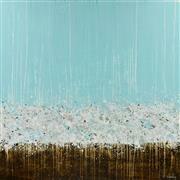 Pleasently surprised to find my work featured in the Art for Spring collection on Ugallery. I'm delighted to have these three works featured in the Bedroom Collection on Ugallery. Petal Burst 17 | 2017 | Acrylic on Canvas | 24 x 24 x 1.5"
Petal Burst 17 has sold to a collector in Zeven, GERMANY. Petal Burst 20 | 2018 | Acrylic on Wood Panel | 20 x 20 x 1.5"
This painting from my GeoFlora series sold to a collector in Valencia, CA. 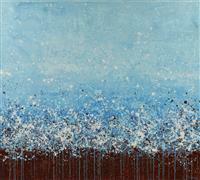 I am delighted that my painting "Blue is the Sky" has been included in the Staff Favorites Art Collection at Ugallery. Click here to view the beautifull collection. Petal Burst 18 | 2018 | Acrylic on Wood Panel | 48 x 48 x 1.5"
SOLD to a collector in New-York, New-York, USA. I am so happy that this painting has found a home. I hope it will bring joy to its owner for many years. 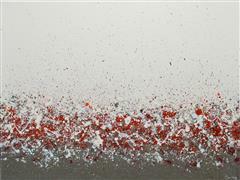 I'm so thrilled to have my works featured in the Best of Abstracts Collection on Ugallery. This collection has so many gorgeous paintings.